What is the word or saying for when you pay money for something, but don't end up using it? For example, I buy a bouncy house as a service, but I don't end up using it. I still have to pay for it, because the contract had me pay upfront. Here's another. I sign up my kid for computer lessons and pay up front. But he doesn't gain anything out of it. I think it's "lost my damage deposit", but after a quick Google search, that's something you pay to ensure an item isn't damaged. So what's the word or saying for my case? 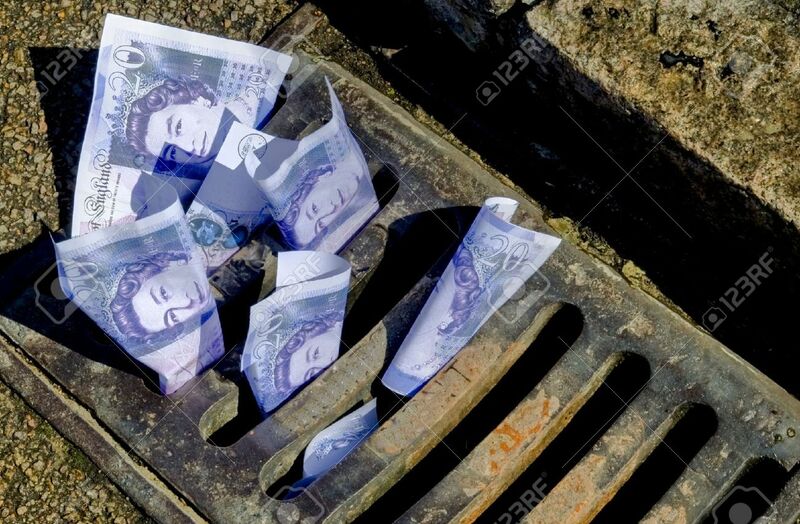 Not a word, but an idiom: "it's all been money down the drain". to waste money; to throw money away. "Don't buy any more of that low-quality merchandise. That's just throwing money down the drain." "Now, as police destroy the 200th bike they have confiscated, officers are warning parents not to pour money down the drain by buying the bikes for their children this Christmas." I'd call it a waste of money, and it's a very common expression. "the senator said that the project was a waste of money"
a bad use of money. "The show was a waste of money." And a person who wastes money this way may be called a spendthrift. Your examples focus on buying services. For the case where you buy an object small enough to fit on a desk, counter or table, you could refer to it as an "expensive paperweight." You could use this expression if you bought something that was reasonably expensive but then you ended up not using it (because it didn't work well enough or didn't do what you thought it would do), it broke after a short time, or something else happened that made it unusable, useless, or obsolete. An object that may have had an original purpose (usually electronic devices) or a concept model of something else, but in any case unable to serve its intended purpose except as a display item or a paperweight. This hack seems to have turned an iMac into an expensive paperweight. Turning Classroom Tech Into More Than an Expensive Paperweight. [Your textbook] is not just an expensive paperweight. We may call it a white elephant. A business or investment that is unprofitable and is likely to remain unprofitable. Not the answer you're looking for? Browse other questions tagged single-word-requests phrase-requests finance money or ask your own question. Is there an idiom about wasting money and a window? What is a word for when you don't want to do something, but enjoy it when you do it? What is the word for feeling fake when you pretend to know something that you don't? What is the word for when you say something like “I'm dying” but don't mean it? When saying “making a donation on behalf of somebody” who has the money acually? What's the word for when you are told to do something but you don't do it?